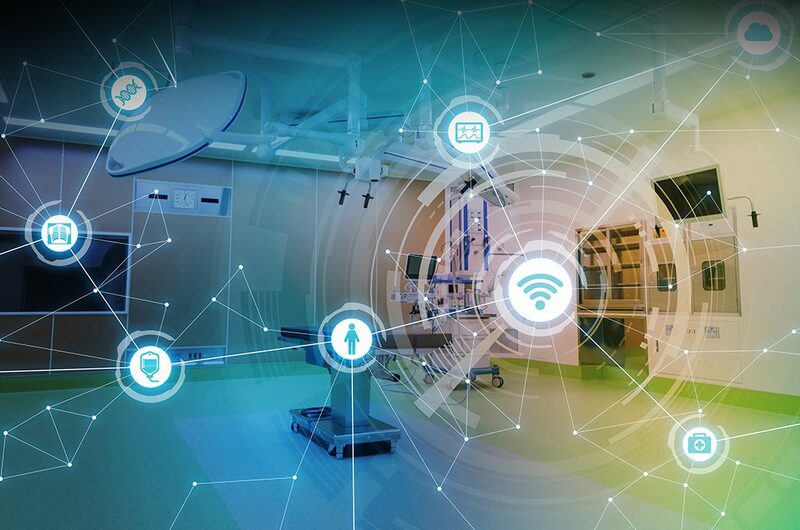 Trexin helped a large Healthcare Payer develop a 3-year infrastructure improvement strategy and roadmap. 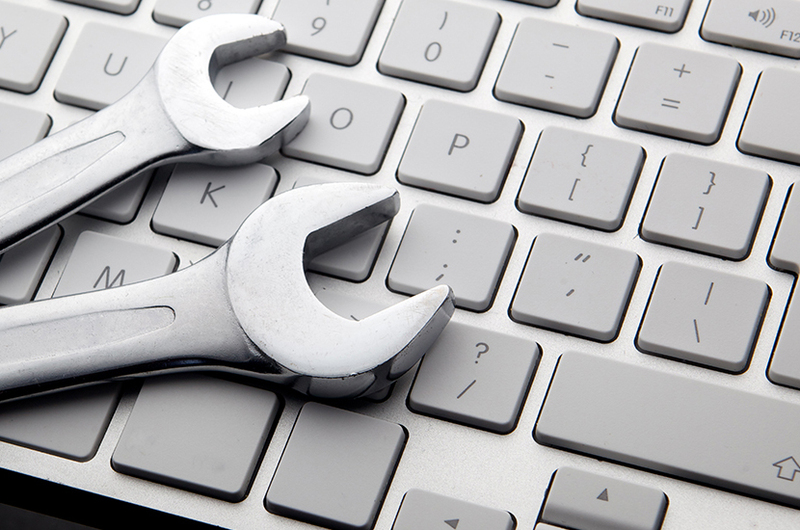 Over a period of several years, our Client had identified numerous service gaps and inefficiencies in their IT infrastructure. 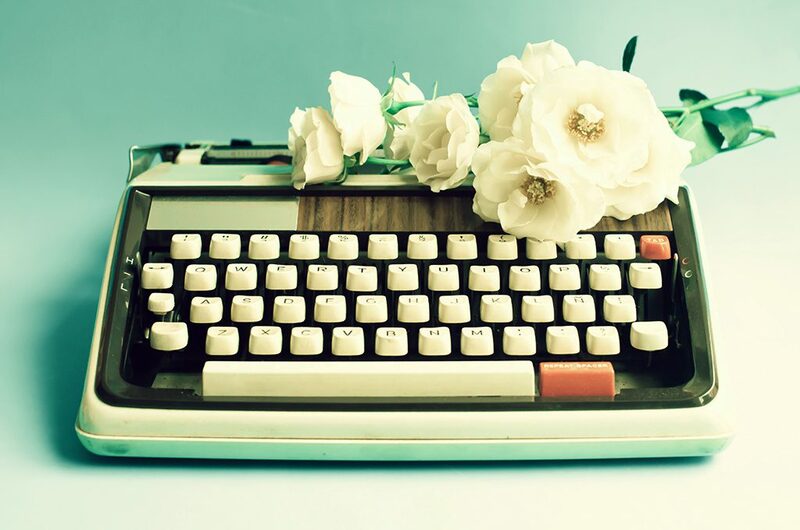 Strong membership growth increasingly added stress to the infrastructure, and daily “run” activities were becoming alarmingly expensive due to the extended use of outdated technologies and costly break-fix purchases in lieu of more thoughtful technology upgrades and use of more modern advanced tools. Recognizing that his internal team lacked the time and resources to move quickly, the CIO asked Trexin to develop an actionable 3-year strategic roadmap with a staged set of improvement projects encompassing people/skills, processes, and technologies. Discovery: Conduct interviews, workshops, and surveys to understand select topics not readily available or understood. Develop a set of infrastructure guiding principles that help define the future state. Vision & Gaps: Refine and “go deep” on the opportunities. Create consensus on architecture, projects, and priorities. Roadmap: Identify and document the top initiatives by year including actions and materials to drive progress towards the future-state architecture through alignment, budgeting, and staffing. 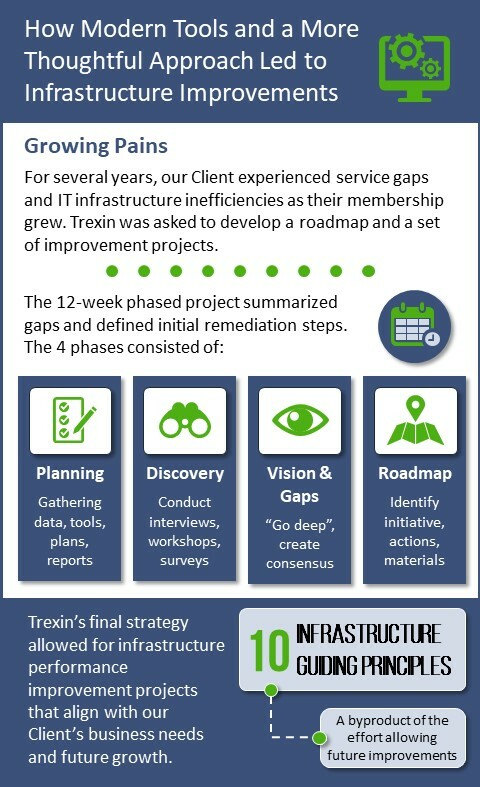 Trexin successfully delivered a 3-year strategic roadmap with specific recommendations for infrastructure performance improvements projects closely aligned with the business’ needs. The roadmap projects were prioritized into implementation waves, starting with projects that had the fastest/highest ROI. As a byproduct of this effort, a set of 10 infrastructure Guiding Principles was also created, which will help IT make further improvements in the future as the business continues to grow and new technological advancements become available.